The 20th century is a century of unprecedented scientific and technological brilliance. Mankind has created the greatest scientific achievements and material wealth in history. These achievements have profoundly changed the way and quality of human production and life, as well as human thinking and understanding of the world, changing and continuing to change the face of the world and greatly promoting the development of society. The past century has many things to remember. Many of the great technological inventions and innovations have revolutionized our lives. Thinkers' predictions have often materialized. Franklin, an American scientist, once said that in the future human knowledge would be greatly increased, that new inventions which we do not think of today would be repeated, and that I sometimes almost regret being born too early to know the new things that were coming. For nearly 100 years, human science and technology could only be described in terms of leaps and bounds. If a 1900 inventor could see the world today, he would recognize cars, telephones, airplanes, and imagine spaceships and deep-sea submarines, but he would know absolutely nothing about computers, the Internet, genetic engineering, or nuclear energy. Now, the explosion of knowledge has given humanity unprecedented confidence and optimism. One writer wrote, "I sincerely believe that we live in the greatest age of knowledge in human history, and that there is nothing we do not know". "As long as people can think of things, there is always someone who can do it." The development of science and technology in the 20th century has made this statement more and more like the truth. Scientific and technological progress has completely changed the way of human existence and changed the direction of human thinking. There is no doubt that science and technology will explode and expand in many fields in the next 10 to 20 years. Maybe the human brain and computer can be integrated, maybe we can settle on Mars, maybe everyone can clone spare parts, maybe...　We look back on the scientific and technological inventions that brought great changes to human life in the 20th century, look forward to the development trend of science and technology, and step into the new era of knowledge economy.I. TV　The birth of television is one of the greatest inventions of mankind in the 20th century. In modern society, life without television is unimaginable. Black and white and colour television, of all types and functions, is flowing from one assembly line to another in factories, schools, hospitals and homes all over the world and is miraculously and rapidly changing people's lives. Television of all kinds has brought people into a wonderful, colorful world. Nipkov disc　Paul Nipkov, a Russian-German scientist, was very interested in electrical appliances when he was still in high school. It was at the time of the rapid development of cable technology. Electric lights and trams replaced old oil lamps, candles and horse-drawn carriages, telephones emerged and gained popularity, and submarine cables connected Europe and the Americas, all of which brought great convenience to people's daily lives. Later he went to the University of Berlin to study physics. He began to imagine whether it would be possible to send images into the distance by electricity. He began an unprecedented quest. After painstaking efforts, he discovered that if images were divided into individual pixels, it was highly possible to transmit images of people or objects into the distance. Soon, an instrument called a "television telescope" came into being. This is an electro-mechanical scanning disc, which looks clumsy but is extremely original. On November 6, 1884, Nipkov declared his invention to the Royal Patent Office in Berlin. On the first page of his patent application it read: "The apparatus described here enables an object in A to be seen in any B," and a year later the patent was granted. This is the first patent in the history of television in the world. Three basic elements of television work are described in the patent: 1. Decompose the image into pixels and transmit them one by one. 2. Pixel transfers occur line by line. 3. When transmitting motion with images, many images quickly appear one by one, blending into one process in the eye. This is the basic principle behind the development of all television technology in the future, and even today's television still works according to these basic principles. The word television was first used at the World's Fair in Paris in 1900, but the simplest and most primitive mechanical television appeared many years later. 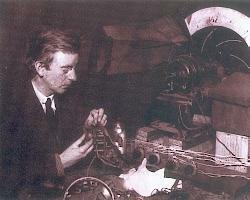 Baird and Mechanical Television　By chance, the British inventor John Baird saw the information about the Nipkov disc. Nipkov's genius idea aroused his great interest. He immediately realized that what he would do in the future was to invent television. So he immediately set to work. It was Baird's obsession with the invention of television, supported by great enthusiasm, that in 1924 a television was finally produced that embodied Baird's blood and sweat. Using the Nipkov principle and using two Nipkov disks, the television transmitted for the first time a cross silhouette four feet apart. Bell (1888-1946) British inventor. In 1926 manufactured the mechanical television system. Baird's television became more and more effective and his reputation became more and more sensational. Baird Television Development Company was founded. As technology and equipment improved, the transmission distance of Baird TV was greatly improved and color appeared on the TV screen for the first time. Baird himself was later revered by the British as the father of television. Almost at the same time, the German scientist Karolus made remarkable achievements in television development. In 1942, the Karolus team (including two scientists, a mechanic and a carpenter) built a piece of equipment. The device uses two 1-meter-diameter Nipkov disks as two ends for transmitting and receiving signals, each with 48 small 1.5-millimetre holes, capable of scanning 48 lines, connecting the two disks with a synchronous motor, rotating 10 frames per second synchronously, and projecting the image onto another receiver. They called the machine the Big TV. The effect of the Big TV was much clearer than Baird's. But they never performed a public performance, so their invention was little known. Scientists from different countries have made similar inventions almost at the same time, which shows that the invention of mechanical television is independent of man's will, and it is a witness of man's creativity in the face of nature. In 1928, the fifth edition of the German Broadcasting Fair opened in Berlin, where the most striking new invention, the television set, was exhibited as a public product for the first time. Since then, people's lives have entered a magical world. It cannot be denied, however, that wired mechanical television spreads over a very limited distance and range, and that the images are quite coarse, making it simply impossible to recreate fine pictures. Because only a fraction of the light can pass through the hole in the Nipkov disc, to get the ideal light, the hole must be enlarged so that the picture will be very rough. To improve the clarity of the details of the image, the number of holes must be increased, but the holes become smaller, the light that can penetrate them is minimal, and the image is bound to be blurred. The Achilles heel of mechanical TV haunts people. People try to find a new way to improve the sensitivity and sharpness of TV at the same time. Electronic TV　n 1897, the German physicist Braun invented a kind of cathode ray tube with a fluorescent screen. When the electron beam hit, the light would glow on the screen. Braun's assistant had proposed using the tube as a receiver for television, but the stubborn Braun thought it was impossible. The first electronic television image receiver made in Germany in 1906. In 1906, Braun's two dedicated assistants actually used the cathode ray tube to create a picture receiver and reproduce the image. However, their device reproduced a still image, which was supposed to be a fax system rather than a television system. In 1907, the famous Russian inventor, Rosin, also tried to apply the Braun tube to television. In particular, it is worth noting that British electrical engineer Campbell Winston, in his inaugural speech as president of the London Society in 1911, came up with an incredible idea for an improved device for what is now called a camera tube. He even gave an almost flawless description of today's television technology in one of his lectures, but at the time the perfect vision was not realized due to a lack of amplifiers and other technical limitations. The Russian-American scientist Zvorykin, who pioneered the era of electronic television, was an electrical engineer at the Technical Institute of St. Petersburg in Russia. As early as 1912, he began working on electronic camera technology. In 1919, Zvorykin moved to the United States to work for the Westinghusen Electric Company. He still worked tirelessly on the study of electronic television.In 1924 Zworygin's work, a model of electronic television, appeared. 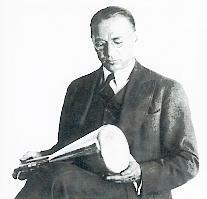 Zworygin (1889-1982) American inventor. The invention of the electronic television camera tube in 1923 and the successful study of the television picture tube in 1931. Zworygin describes the key part of the model as a photovoltaic camera, or television camera. Unfortunately, the image is so dim that it is almost like a shadow. In 1929 Zworygin introduced an improved model, and the results are still not very good. ARC of the United States eventually invested $50 million, and in 1931 Zwolekin finally produced a satisfactory camera tube. In the same year, a field trial of a complete photovoltaic camera system was carried out. In the experiment, an image consisting of 240 scan lines was transmitted to a television set four miles away, and a mirror was used to reflect the image of the 9-inch tube to the television, completing the process of making the television camera and video completely electronic. With the application of electronic technology to television, television began to move out of the laboratory and into public life as a true medium of information. 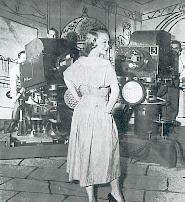 The television industry gained significant development in 1936 when, on 2 November of that year, the BBC broadcast a large-scale song and dance programme in Alexandria Palace, just outside London. The spectacle and grandeur of the programme, which was broadcast exclusively on an electronic television system, made an impressive impression. The coverage of the Olympic Games held in Berlin in the same year was a major appearance for the young television industry. Four cameras were used to film the match. One of the most striking was Zorkin's all-electronic camera, a huge machine with a 1.6-meter focal length that weighs 45 kilograms and is 2.2 meters long, dubbed the TV cannon. Image signals from the four cameras were cabled to a studio at the Imperial Post Center, where they were mixed and sent out through a television tower. More than 160,000 people watched the games on television each day during the Berlin Games, which ran for eight hours. At that time many people crowded in front of the small television screen, excitedly watching the moving scenes of an exciting game, which made people more convinced that the television industry was a promising career and that television was becoming a part of people's lives. By 1939, about 20,000 homes in Britain owned televisions, and American Radio's television made its debut at the New York World's Fair, starting its first regular TV show run, attracting thousands of curious viewers. 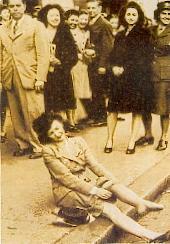 The outbreak of World War II brought the fledgling television industry to a standstill for almost a decade. After the war, the television industry boomed again and television quickly caught on. In 1946, the BBC resumed regular television programming, and the US government lifted the ban on making new television. In the United States, from 1949 to 1951, not only were television programs widely broadcast in the country, the number of television sets jumped from 1 million to more than 10 million, and hundreds of television stations were set up in just three years. Some humorous dramas, light songs and dances, cartoons, entertainments and Hollywood movies are often broadcast on television. The emergence of ever-changing television programmes has aroused strong reactions among the public. Within a short time, the public abandoned other forms of entertainment and sat in front of the television in the living room, intoxicated, with all the sadness displayed on the small screen. Television is becoming more and more indispensable in people's life. Black and white television was first broadcast in the United States in 1946. Pictured is a recording of a TV show from the 1950s. a leading member of the television family. Since the advent of fully electronic TVs, the TV family has flourished rapidly. The number of TVs has increased dramatically, the shapes of TVs have become more varied and the functions of TVs have become more and more comprehensive. It is no exaggeration to say that dazzling new types of TVs are pouring into people's lives in an endless stream. In this torrent of television, electronic video, satellite transmission, as well as a variety of new media is much more popular. Electronic video-The advent of the Modoll VRllo VCR, designed and produced by Ginsburg and Anderson in 1956, has taken electrical technology a giant step forward. In the past, people used to make TV programs in two ways. 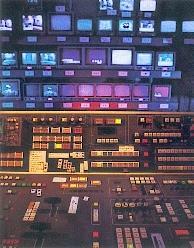 One was to film the programs on TV, print them, and then broadcast them through electronic scanners. One of the biggest drawbacks of this method was that it was impossible to broadcast the programs live. The other is to broadcast the signal directly with a video camera, which satisfies the needs of those who wish to witness the scene, but it cannot be recorded and replayed and loses its historical value as information. As can be seen, there is an insurmountable shortcoming in the production methods of the past. The advent of video recorders has completely changed the situation. With video recorders, people can take the programs produced in New York to the rest of the world without any limitation of time and space, and let people enjoy themselves. In 1972, Sony Corporation of Japan introduced a 3 / 4-inch cassette tape, which radically changed the way television programmes are made. The cassette, which looks ordinary and very small, is the world's first professional color video projection system. Today, video technology has mushroomed, and black-and-white, color, carry, cassette, various models and functions of video recorders compete with each other, the picture, sound, clarity is also getting better and better. SATELLITE TRANSMISSION On August 12, 1960, in a blaze of flames, another rocket took off, sending a satellite for communications into the vast expanse of space. Although the satellite was just a giant metal ball that could only be used to reflect radio signals, it pioneered satellite communications, which became operational as the Messenger and Electron Star 1 satellites successfully ascended into space and into Earth orbit. With the advent of communication satellites, television has spread more rapidly. Through live broadcasts, all kinds of world sports events and major scientific and technological information have spread around the world in a blink of an eye, and television has spread more widely. More than one billion people from more than 140 countries watched the World Cup on television in 1982 in unprecedented numbers, and the geographical boundaries of television transmission shrunk. From 1965 to 1980, INTELSAT launched five international communications satellites, fully achieving global communications. It is no exaggeration to say that communication satellites enhance social interaction and mutual understanding. Under the influence of communications satellites suspended in space, the earth seems smaller and the era of the "global village" has come. The emergence of new media-home video, cable television, satellite live television, multifunctional television, and other new media-has brought about a new trend in television development-a shift from public to family media. Since 1 / 2 bandwidth home video recorders were first launched in 1975, the home video business has grown unstoppable. With video recorders, people can watch their favorite TV shows anytime and anywhere more freely, and no longer be subject to television schedules. When people have something to do and can't see what they want to see, they can record it for people to enjoy by using the timer of the VCR. The VCR can also be used to store information and guide learning. When people are interested, they can also use the home video camera to take pictures of their travels, birthday parties and family holiday parties for future memories. Cable television has emerged as a response to the general desire to see easily what one likes on television and to watch certain programmes selectively. Cable television, in contrast to the popularity of television programmes in the past, has adopted a narrow-band approach, offering specialized entertainment, children's and sports and news programmes to meet the needs of some viewers. Today, cable television is highly developed. By 1980, there were nearly 10,000 cable television systems and nearly 5 million cable TV subscribers in the United States, accounting for 52 percent of households. Cable television is entering people's daily lives and becoming a formidable competitor to wireless television. Satellite Live TV-November 5, 1983-USCI begins live satellite broadcasting for the first time. Previous satellite transmissions had to be received on the ground and then transmitted by radio or cable. In contrast, live satellite television, equipped with a small parabolic antenna about 1 meter in diameter and a tuner (used to decode the signal) in the same household, can directly receive downlink signals from satellites. This has great practical value in remote areas. Multi-function TV-In the few decades since the first shaded color TV was introduced in 1949, television has made remarkable progress. From electronic tube TV and transistor TV to integrated circuit TV. At present, with the rapid development of microelectronics and computer technology, television is moving towards intelligence, multi-function and multi-purpose. Today's televisions are not only used to watch television, but can also be home computers, electronic games consoles and pre-made videotapes. People not only make use of TV news, but also can make remote sensing diagnosis through satellite and TV, use home TV to control home appliances, carry out TV alarm, shopping, recording, studying and so on. In addition, stereo televisions, large-screen televisions, high-definition televisions, laserdiscs, home databases and so on have been developed continuously, that is to say, modern television has changed from a viewing tool in a public medium to a home video system center with a multitude of information systems. The pilot of color TV was successfully broadcast in 1954. The picture shows the center of modern TV guidance and broadcast control. The invention of television has profoundly changed people's lives. It has not only enriched people's leisure time as never before, but, more importantly, it has increased the information dissemination gap and the amount of information to make the world smaller. Today, television has become one of the most popular household appliances, and television news, television entertainment, television advertising, television education and so on have formed a huge industry. Television, as a great invention, has brought about the human visual revolution. People are no strangers to nylon, which is the first synthetic fiber developed in the world. Nylon products abound in everyday life, but few people know its history. At the beginning of the twentieth century, it was considered inconceivable that the business community should engage in basic scientific research.In 1926, out of an interest in basic science, DuPont, the largest industrial company in the United States, suggested that it should conduct basic research on the discovery of new scientific facts. In 1927, the company decided to pay $250,000 a year for research and began hiring chemical researchers. By 1928, DuPont had established the Institute of Basic Chemistry, and Dr. Wallace H. Carothers, aged 32, had been hired to head its organic chemistry department. 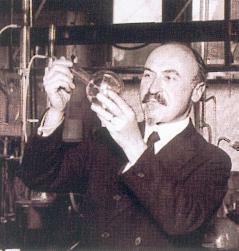 Carruthers, American organic chemist. Born April 27, 1896, in Ton, Iowa. Died April 29, 1937, in Philadelphia. After receiving his doctorate from the University of Illinois in 1924, he taught and researched organic chemistry at the University of Illinois and then at Harvard University. In 1928, he was recruited to conduct organic chemistry research at the lab of DuPont in Wilmington. He presided over a series of studies on the production of high molecular weight substances by polymerization methods. In 1935, polymers were prepared from adipic acid and adipramine, both of which contained six carbon atoms, then known as polymer 66. He then molten the polymer and pressed it through an injection needle, stretching it under tension to call it a fibre. The fibre, polyamide 66, was industrialised in 1939 and named Nylon, the first synthetic fibre to be industrialised. 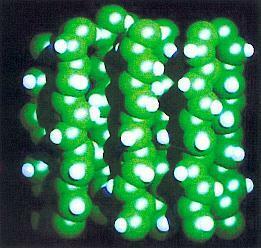 The synthesis of nylon laid the foundation of synthetic fiber industry. The appearance of nylon makes the appearance of textile take on a new look. Nylon stockings woven from this fabric are both transparent and more durable than silk stockings, and DuPont caused a sensation on October 24, 1939, when they were sold in public on the site of its headquarters. They were seen as curiosities. Nylon fabrics were sold throughout the United States in May 1940, having been praised for being "as fine as silk, as strong as steel, and as beautiful as silk". After World War II 90% of nylon turned to underwear production, nylon stockings swept the world. From the outbreak of World War II until 1945, the nylon industry was turned to military products such as parachutes, aircraft tire curtains, and military uniforms. Due to its characteristics and wide range of uses, nylon developed very rapidly after the Second World War. Nylon products, ranging from stockings and clothing to carpets and fishing nets, appeared in innumerable ways and were one of the three major synthetic fibres. The invention of plastics is one of the great masterpieces of mankind in the 20th century. Plastics have undoubtedly become an indispensable raw material of modern civilization. Plastics are now widely used in aviation, aerospace, communications engineering, computers, military, as well as agriculture, light industry, food industry and other industries. Plastics, literally, are materials that can be molded, that is, materials that are malleable. Plastics today are a class of materials that are cast, extruded, blown, or injected into models with resins at a certain temperature and pressure to cool down. n the 1860s, the United States was short of raw materials to make billiards because of a shortage of ivory. The first man-made plastic celluloid was patented in 1869. Celluloid was the earliest artificially made plastic, but it was an artificial plastic, not a synthetic plastic. The first synthetic plastic was made by pressing a phenolic resin heating mold, made in the early 20th century, in 1910, by the Belgian American chemist Baekeland. Baekeland heated and pressurized phenolic resin with wood chips and molded it into a variety of products, named after his surname Beckett, which we call Electric Wood.After the First World War, the rapid development of the radio, radio and other electrical industries has increased the demand for electric wood, which has been used to this day. The chemical industry requires equipment that is not affected by acid. It used to be made of special steel. It was much cheaper to replace it with alkali-resistant electric wood. But electric wood is not alkali resistant. It is a good material for making buttons and pawns. Some parts in tractors and cars are also made of it. n 1918 the Austrian chemist John made the urea-formaldehyde resin, with which the plastic made colorless and light-resistant, and has a high hardness and strength, less flammable, can pass through the light, also known as electro-jade. In the 1920s, was used in Europe as a glass substitute. By the 1930s, melamine-formaldehyde resins had emerged, using urea as the raw material. Melamine-formaldehyde resins can be used to make arc-resistant materials that are resistant to fire, water and oil. Plastics such as polyethylene, polyvinyl chloride, polystyrene and plexiglass have since emerged. It can't be said that this is the door opened by electric wood. The 20th century is the century of plastics. Looking back on the history of plastics from its appearance to the present one hundred years, looking forward to the 21st century, Human society is bound to change further with the emergence and development of high-speed computer, information and network technology, new energy, space technology, life science and other cutting-edge technologies, The space for human activities is bound to expand further, and nanoplastics, optical fibers, conductive plastics, magnetic plastics, plastic memory... A variety of newer plastics will make new contributions to human technological progress.It is believed that through the paleolithic, neolithic, pottery, bronze, iron age of human history, because of the plastic and speed up the pace of civilization. Although in the past century, people have been exclaiming the advent of the plastic era, but perhaps the new century is the era of the real arrival of the plastic era, and the past century is only a prelude to the plastic era. 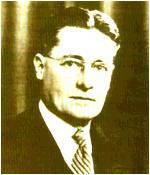 The discoverer of penicillin was the British bacteriologist Fleming. One day in 1928, Fleming studied the staphylococcus bacteria that cause fever in his humble laboratory. As the lid was not closed, he noticed a layer of Penicillium on the agar used to grow the bacteria, which had fallen through the window of an upstairs scholar who had studied Penicillium. To Fleming's surprise, the staphylococcus suddenly disappeared near the penicillium. The accidental discovery fascinated him, and he managed to cultivate the mold for many tests, proving that penicillin could kill the staphylococcus in a matter of hours. British scientist Fleming, inventor of penicillin, was in his lab. In 1929, Fleming published an academic paper reporting his findings, but it was not taken seriously at the time, and the issue of penicillin purification had not been resolved. In 1935, the discovery of Fleming was of great interest to Chenn, a biochemist and physicist at the University of Oxford in England. Chenn was responsible for the culture of Penicillium and the isolation, purification and enhancement of penicillin, making it thousands of times more resistant to bacteria. In the center of the picture is Penicillium, which is surrounded by pathogenic bacteria. The bacteria farthest from penicillin are large, dense and full of vitality. The bacteria closest to Penicillium were smaller, lighter and less active, while the bacteria closest to Penicillium were the smallest and whitish, apparently dead as a result of the discovery and mass production of penicillin. Saved the lives of millions of pneumonia, meningitis, abscess, sepsis patients, timely rescue of many of the sick and wounded. The emergence of penicillin, then made a sensation in the world. In recognition of this contribution to humanity, Fleming, Chann, and Frori jointly received the Nobel Prize in Medicine and Physiology in 1945. 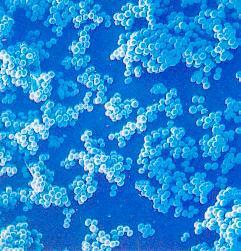 Staphylococci These pearl-shaped things are harmful to human health grape bacteria, penicillin can eliminate them in World War II led to the mass production of penicillin. In 1943, there was enough penicillin to treat wounded soldiers; in 1950 production was sufficient to meet worldwide demand. The discovery and study of penicillin became a miracle in medical history. Penicillin has been developed into three generations since its clinical application. One of the greatest inventions of the twentieth century was the birth of airplanes. Man has dreamed of flying in space like a bird since ancient times. And the kite invented by the Chinese more than 2000 years ago, although it can't take man into space, it can really be called the originator of airplanes. 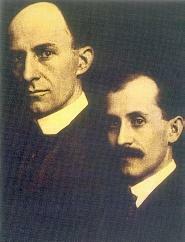 At the beginning of this century, in the United States, there were two brothers who had made a great contribution to the history of aircraft development in the world, the Wright brothers, who did not believe that the majority of people at that time believed that it was absolutely impossible for an airplane to fly on its own power. From 1900 to 1902 their brother made more than 1000 glide test flights, and finally in 1903 built the first aircraft to rely on their own power for manned flight "Flyer" 1, and the successful test flight. They received an honorary award from the United States Congress in 1909. In the same year, they founded the Wright Aircraft Company, a great success in the history of aircraft development. Early aircraft used a single engine, in flight, there is often a sudden engine shutdown failure. This is always a threat to flight safety. In 1911, the British SCHOTT brothers applied for a number of patents engine design. Their dual-engine system, which frees every pilot from having to worry about the engine stopping to bring the plane down, is a major advance in aviation security. The first plane to be built under SCHOTT's patent is known as the "3 2". The name tells people that the plane is equipped with three propellers and two engines. The plane also has two sets of flight control mechanisms, so that both pilots can operate the plane without having to change seats. On December 17, 1903, the Wright brothers flew their first sustained, dynamic, and maneuverable flight. From 1927 to mid-1932, advances were made in the development of cockpit instrumentation and piloting equipment, and gyroscopic technology was applied to flight instruments.This rotating flywheel mounted on a universal bracket was able to maintain orientation in space and thus became the basis for various navigational instruments that could guide the pilot through dark, rainy and snowy days. At this time, an artificial horizon appears in the aircraft, which can indicate to the pilot the flight altitude of the aircraft; a gyroscopic magnetic compass indicator is engraved on the compass with the degree, which can show the change of course at any time ; The geomagnetic compass, which is unaffected by the large amounts of iron that are often carried on aircraft, is unaffected by vibration and the Earth's magnetic field. These instruments use high sensitivity altimeters capable of measuring more than 30 metres above the ground, turn sidesliders showing the aircraft's turning angular velocity, and radio beams indicating air routes, all of which are used to guide pilots through the murky atmosphere. The Flight Simulator, also known as Flight Simulator, is a form of flight simulator that mimics an airplane on the ground. In 1930, Edwin Link, an American, invented the first flight simulator and named it after himself, the Link Actuator. Despite its technical flaws, it has demonstrated the advantage of being able to train repeatedly in emergency maneuvers safely and economically without using a real aircraft. Nowadays, the aircraft simulator is composed of computer, simulation cockpit, motion system, control load system and view system. It is the indispensable technical equipment in modern aviation research, teaching and experiment. The pilot of a plane that crashed during a performance at an exhibition in Paris, France, on December 10, 1910, was thrown out of the burning cabin. But the plane caused a lot of concern because it used a new type of engine. It was designed by the pilot himself, a Romanian named Henry Koanda. Graduated from the French Higher Technical School. He designed an engine that used a 50-hp engine to push the fan back into the air, while adding an afterburner to allow the gas to expand sufficiently in the tail nozzle to increase the reverse thrust. This was the earliest jet engine. In the late 1930s, piston-powered propeller aircraft had a maximum flat-flying speed of 700 kilometers per hour and were close to the speed of sound when they dived. The former Soviet Union, Britain, the United States, Germany, Italy and other countries to vigorously carry out the research work of jet engines.German designer, Ao'an in the development of a new type of engine on the earliest success. In 1934, he obtained a patent for a centrifugal turbojet engine. On August 27, 1939, he used his engine to make a He-178 jet. After the development of the jet engine, scientists further let the aircraft to break the sound barrier flight, after more than 10 years of this work was finally completed by the Americans. On October 14, 1947, in the Sangerfield, Calif., area, Bell Company tested a plane that could break the sound barrier. At 10 a.m., a giant B-29 bomber took off with a small, oddly shaped plane under the cabin. The small plane was named the X-1 rocket plane. The X-1 was equipped with four rocket engines, with a total thrust of 2,700 kilograms, using dangerous liquid hydrogen and alcohol. When the B-29 bomber lowered it from the air, its four rocket engines ignited one after the other, sounding like thunder. When the plane's engine started 1 minute 28 seconds later, the Mach number reached 10 and the plane reached the speed of sound. At this point the X-1 plane almost ran out of fuel and became faster, reaching Mach number 106, when the altitude was 13,000 meters.Despite the successful test flight, the record was not recognized because the X-1 plane took off not on its own power. The invention of airplanes has created new discontentment for the general benefit of mankind. Airplanes need to take off and run, and corresponding runways and airports need to be built. This has brought a lot of inconvenience, so some people began to explore the possibility of vertical take-off and landing aircraft, commonly known as helicopters. September 14, 1939 the world's first practical helicopter was born, it is the United States engineer Sikorsky successfully developed the VS-300 helicopter. Originally from Russia, Sikorski moved to the United States in 1930. He built the VS-300 helicopter, which had one main rotor and three tail oars, and later, after several test flights, turned three tail oars into one, making it the ancestor of modern helicopters. After the birth of the VS-300 helicopter, the impact is enormous, especially since the 1950s, the helicopter manufacturing technology has developed rapidly before the mid-1950s, the helicopter power unit in the piston engine period, since then entered the jet turbine shaft period. The rotor material structure technology also went through several stages; from the 1940s to the 1950s it was a metal winged hybrid structure, from the mid-1950s to the mid-1960s it was a metal structure, from the mid-1960s to the mid-1970s it was a glass fiber structure and from the mid-1970s it developed into a new type of composite structure. Since the 1920s, when planes began to carry passengers, and the early years of World War II, when the United States began to convert a large number of transporters into passenger airlines.Since the 1960s, there have been a number of large transporters and supersonic transporters around the world, which have gradually introduced the use of turbofan engines. Notable are the An-22, Il-76 produced in the former Soviet Union; the C-141, C-5A, Boeing 747 produced in the United States; and Airbus in France, among others. The supersonic transport plane has the Anglo-French joint development "Concorde" type and the former Soviet Union Tu-144. However, the supersonic passenger plane's development is not optimistic. Production of the Concorde aircraft was halted in the 1980s because of its high price and efficiency, and the Tu-144 of the former Soviet Union was suspended in the 1980s for the same reason. Since the invention of the airplane, the airplane has increasingly become an indispensable means of delivery for modern civilization. It has profoundly changed and affected people's lives. Thanks to the invention of the airplane, the time for human travel around the world has been greatly shortened. The world's first world tour was completed in the 16th century, when the Portuguese Magellan led a fleet of ships from Spain, a full three-year journey across the Atlantic and Pacific oceans, around the Earth, back to Spain. At the end of the 19th century, it took a Frenchman 43 days to travel around the world by train. After the invention of the airplane, people made another trip around the world in 1949. A B-50 bomber, after four beautiful refuelling flights, took only 94 hours to orbit the Earth, flying 37,700 kilometers. After the advent of supersonic aircraft, people fly higher and faster. In 1979, the British Puspeter only 14 hours and 6 minutes, flight 36900 kilometers, around the earth. Is it not a human miracle that in less than a day you can fly to every corner of the earth, for human beings who lived before the 20th century? The intricacies of air routes connecting countries around the world provide both convenient and rapid passenger transportation.As early as the 1920s, air transport opened regular flights to transport passengers and mail. Nowadays, air routes are more widely available, and at any moment one can see a silver plane, like a great bird, flitting across the blue sky. It is quite common for modern people to be in Beijing in the morning and to be in another city thousands of miles away in the afternoon without any tiredness. Before the 20th century it was unthinkable. From then on, the steep mountains and the endless ocean were no longer to be feared. A single silver swallow closely links people of different races and colors in different areas.Through continuous exchanges, people sow friendship, convey information, achieve mutual communication, mutual understanding and mutual promotion, and jointly promote human civilization. The invention of aircraft has also led to unprecedented growth in the air transport industry, with new sources and channels for many of the raw materials needed for industrial development, greatly reducing people's dependence on local natural resources. Especially since the advent of supersonic aircraft, air transport has become more prosperous. Livestock that are not suitable for long transport and delicious food that is difficult to preserve for a long time can also be transported by air across all corners of the country and shared by people all over the world. Lingnan lychee, which was not easy to taste even the imperial concubine empress, now appears in the homes of ordinary people. Planes are also widely used in geological exploration as humans march deeper into the earth, using planes equipped with cameras or an electronic device called the Shawlands system that can quickly and accurately map vast areas, including steep and hard-to-reach places. Stitching together aerial photographs makes for an excellent topographic map, which is much simpler than the old way of mapping. Even the icy, inaccessible North and South Poles, once dabbled in by explorers, can now be reached without difficulty by plane. Of course, the role of aircraft in modern warfare is even more amazing. It can be used not only for reconnaissance and bombing, but also for early warning, anti-submarine, mine clearance and so on. 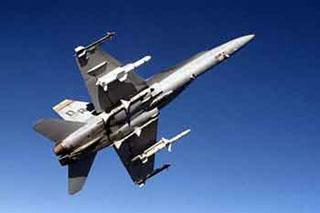 During the Gulf War, which broke out in the early 1990s, the enormous power of aircraft was palpable. Of course, the use of airplanes in military affairs has brought about a great deal of disaster to mankind and has brought about a destructive destruction to human civilization.However, it is the peaceful use of airplanes that is the original intention of human inventing airplanes.